1. Your teen’s brain is still developing and is a “work in progress”. Research by the NIDA (the National Institute of Drug Abuse) found that the brain’s frontal lobes, a critical area for the development of judgment and acquiring information, is not fully developed until someone is in his/her 20’s. Considerable research tells us that regular use of alcohol by adolescents can have life-long negative effects on their brain chemistry and the structural organization of the brain. 2. Teens do not always make good decisions. Alcohol use decreases impulse control and increases risky decisions that can lead to injury, dangerous sexual behavior, sexual assault or other kinds of violence, alcohol poisoning, and even death. 3. Teen use of alcohol is illegal. Teens who drink are breaking the law. It is illegal for adults, even a teen’s parent, to allow a teen to drink. It is important for you, as a parent, to send a CLEAR message to your son or daughter that underage drinking is illegal; unacceptable to you; and will result in family consequences. 4. Research tells us postponing alcohol use beyond the teen years SIGNIFICANTLY decreases a teen’s likelihood of addiction as an adult. In a recent study, drinking to get drunk was the main reason for drinking cited by nearly half the youth. Another survey found that most teen drinkers binge. 5. 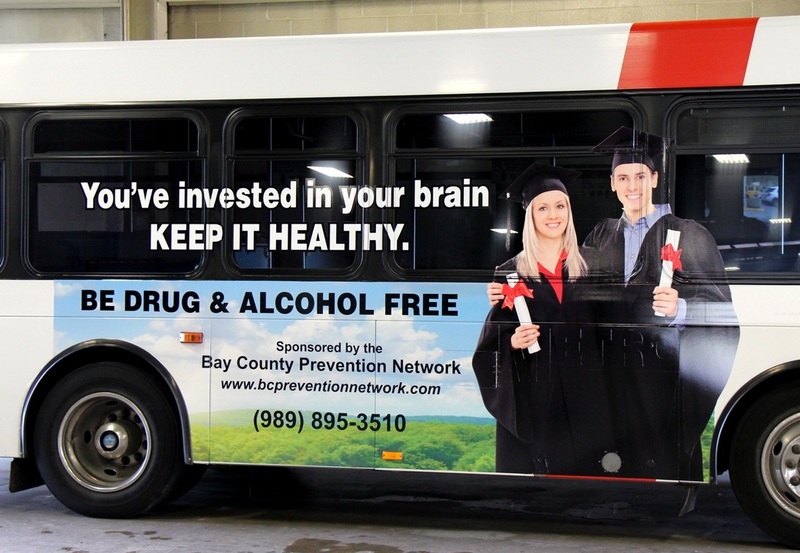 Teen use of alcohol and other drugs, like marijuana, is a primary issue in youth traffic accidents and fatalities. Did you know that the leading cause of death for youth, ages 15 to 20, is a car crash and that alcohol is a factor in 1/3 of the crashes involving teens? 6. If your teen drinks alcohol, s/he can face SERIOUS legal and other consequences. These consequences can include driver’s license suspension or restriction, substance abuse screening and treatment at YOUR expense, fines up to $500, court costs, and community service. In addition, insurance coverage rises significantly or can be cancelled for conviction of alcohol-related offences. Teens found guilty of an alcohol offence may not be admitted to the college of their choice and can be ineligible for college scholarships. Below is a link to SAMHSA's interactive page on how to help parents/caregivers talk to younger kids about underage drinking. Start the Talk is an interactive tool to help you learn the do’s and don’ts of talking to your kids about underage drinking. Using avatars, you’ll practice bringing up the topic of alcohol with a teen, learn what questions to ask, and get ideas for keeping the conversation going long after the initial talk has ended. You can read, share, or download the National Institute on Drug Abuse's Marijuana: Facts Parents Need to Know booklet below. LET’S LOOK AT THE RESEARCH! According to the Community Anti-Drug Coalitions of America (CADCA), addiction rates among 12-17 year olds are among the highest levels nationally in states that have “medical” marijuana programs. Marijuana IS addictive! Let’s consider the facts. Those who begin using marijuana in their teens have about a 1 in 6 chance of developing marijuana addiction. According to the National Institute on Drug Addiction (www.drugabuse.gov/drugs-abuse/marijuana), children and teens are 6 times more likely to be in treatment for marijuana than for all other illegal drugs combined. conducted by the Substance Abuse and Mental Health Services Administration, a federal agency, found that teens with an average grade of “D” or below were more than 4 times as likely to have used marijuana in the past year, than those with an average grade of “A”. The Monitoring the Future Survey, a large national survey of youth conducted by the University of Michigan, found that the more a student uses drugs, including marijuana, the lower their grades were, and the more likely they were to drop out of school.Visit: www.drugabuse.gov/drugs-abuse/marijuana (the National Institute of Drug Abuse) to getthe real facts about marijuana. Marijuana use negatively aects the developing teen brain. A study conducted by Children’s Hospital of Philadelphia and the National Institute on Mental Health found that adolescents and young adults that are heavy marijuana users are more likely than non-users to have disrupted brain development. Researchers found abnormalities in areas of the brain that interconnect brain regions involved in memory, attention, decision-making, language and executive functioning skills. Research based information about the dangers of marijuana can be found by visiting www.samhsa.gov. A new large scale New Zealand study of brain development, funded in part by our federal government, found that individuals who use marijuana heavily during their teen years and continued in adult life showed a signicant drop in IQ (an average of 8 points) on intelligence tests. This information is according to a major study published during September 2012 in Proceedings of the National Academy of Sciences. For more information on this study, visit www.drugabuse.gov/drugs-abuse/marijuana (National Institute of Drug Abuse). Visit: www.drugabuse.gov/drugsabuse/ marijuana (National Institute of Drug Abuse) for more information. Marijuana use and driving is dangerous! According to the National Highway Traffic Safety Administration, “Data from traffic arrests and fatalities indicate that, after alcohol, marijuana is the most frequently detected psychoactive substance among driving populations.” Marijuana impairs motor skills in most drivers. Marijuana use decreases reaction times, distorts time and distance estimation, and reduces the ability to concentrate. One in five (20%) high school students have driven under the infuence of marijuana. This is higher than those that have driven under the infuence of alcohol (13%), according to a study from the Office of National Drug Control Policy, Students against Destructive Decisions and Liberty Mutual Survey. This percentage has increased since 2003 when one in 6 students (16%) admitted to driving under the infuence of marijuana. Visit: www.whitehouse.gov/blog/2012/02/24/ (search “Importance Drugged Driving Prevention”) for additional facts. Responsible health organizations recognize that marijuana is dangerous to our kids! ects. The Academy’s position is that any change in legal status of marijuana, even if limited to adults, could create increased use in teens. Visit: www.aap.org for the full position statement of the academy. ects on cognition and brain development during adolescence may have lasting results. Visit: www.aacap.org to read the Academy’s full position statement. research on the dangers of marijuana use (Board Positions 12/12). Visit: www.nadcp.org/learn-7 to read the full statement. An opioid addiction can quickly spiral into heroin addiction, and it's happening to our youngest community members. Student athletes with injuries are at risk of misusing prescription medications or turning to heroin when the prescriptions run out. See the tip sheet below for how to help your student athlete manage prescription pain killers. You can read more about student athletes with addictions in this article from Sports Illustrated.